Alexandria Yellow Cab is a premier taxicab company based in Alexandria, Virginia. With us, you have a secure and reliable taxi cab service near Dulles Airport at great rates, at all times. Whether corporate traveler or a leisure one, use the highest quality of taxi service to get you to the Dulles airport, or any other location in Northern Virginia. Schedule a pickup in advance and a driver will be there as soon as you land. If you are in a rush, you can do it quickly using Voice Search function on your smartphone. 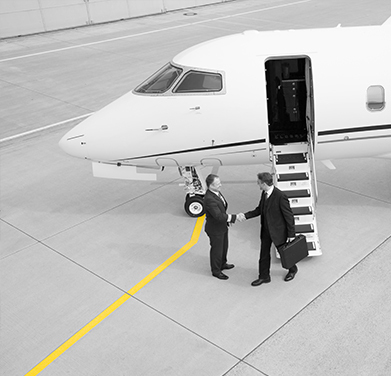 All you have to do is use “taxi near me” phrase and let the airport transfer to Dulles be our task. Alexandria Yellow Cab team will also gladly take you to any other airport in Washington DC Metropolitan area, including DCA or BWI. Book our services, make yourself comfortable and don’t think about traffic or getting there on time, that’s our job! If you are scheduling a pickup at any of the above-mentioned airports, a driver will be there as soon as you land. Alexandria Yellow Cab tracking system follows all flights so no matter when you scheduled your taxi ride nearby, our team will be waiting for you, locked and loaded, ready to take you all the way to Seminary West, Del Ray, Clover-College Park, Seminary Hill or any other town in the area. Coming to Northern Virginia for business purposes? It can be tough to get around when you don’t know the city. Leave it to the local professionals to get you where you need to be, on time, swiftly and safely. You can hire us for point to point service, by the hour, for round trips, meetings & conventions, special occasions, and long trips also. Our team can accommodate groups of various sizes. Call +1 703-549-2500 to hire your taxi cab ride near my location now.